Native American inspired turtle hair barrettes inspired on Anishinaabe stories. 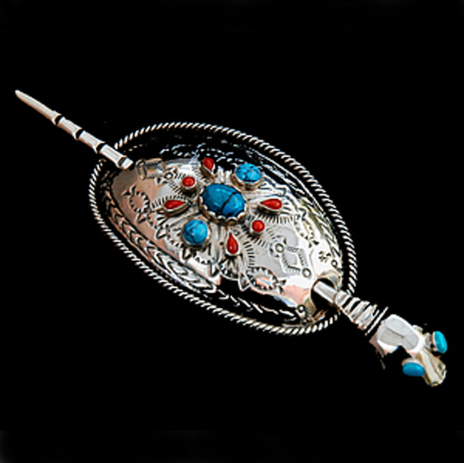 This page shows a small selection of Zhaawano's unique Anshinaabe-inspired turtle hair barrettes, designed and handcrafted in his studio in silver, gold, turquoise stones, and red coral. 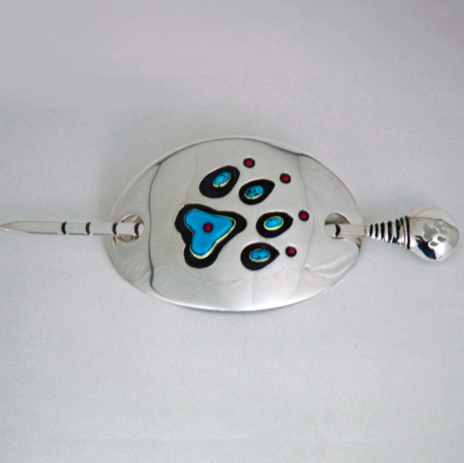 Although Zhaawano fashions all of his pieces around the traditional stories of the Ojibwe Anishinaabeg from the North American Great Lakes area, his-hand hammered hair slides can also be traced to Native American design from the Four Corners area in the American Southwest. 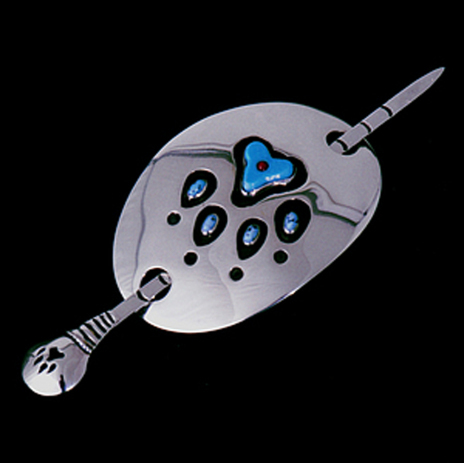 His expert silversmithing techniques of stampwork and stone setting, respectively overlay, were respectfully borrowed from the Dine' (Navajo) and their neighbours, the Hopi. Please click on an image below to select the turtle barrette of your choosing. We are working hard to make all links on this page workable. Thank you for your patience.. He searches for them, the Anishinaabe. He heals them, the Anishinaabe.